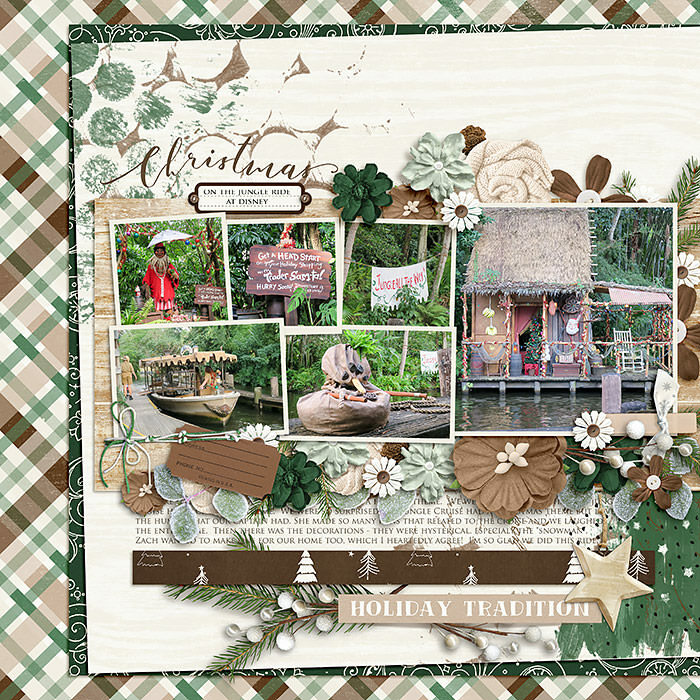 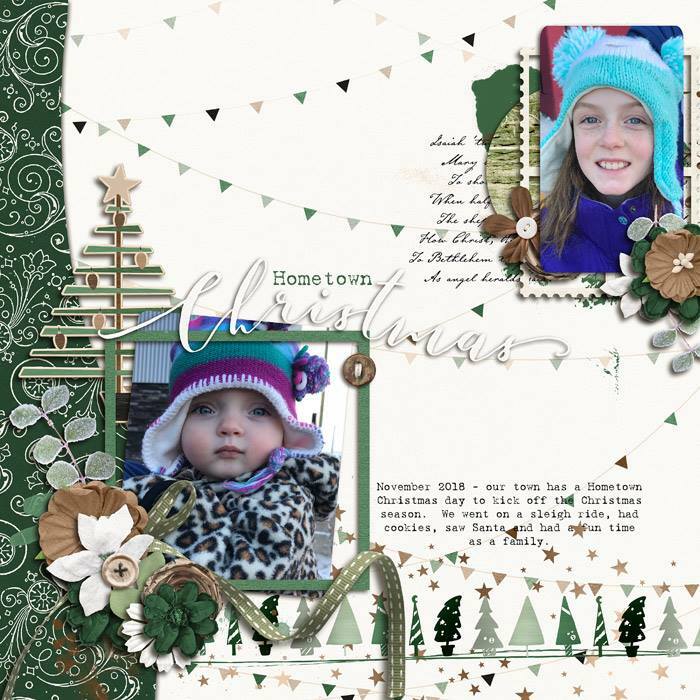 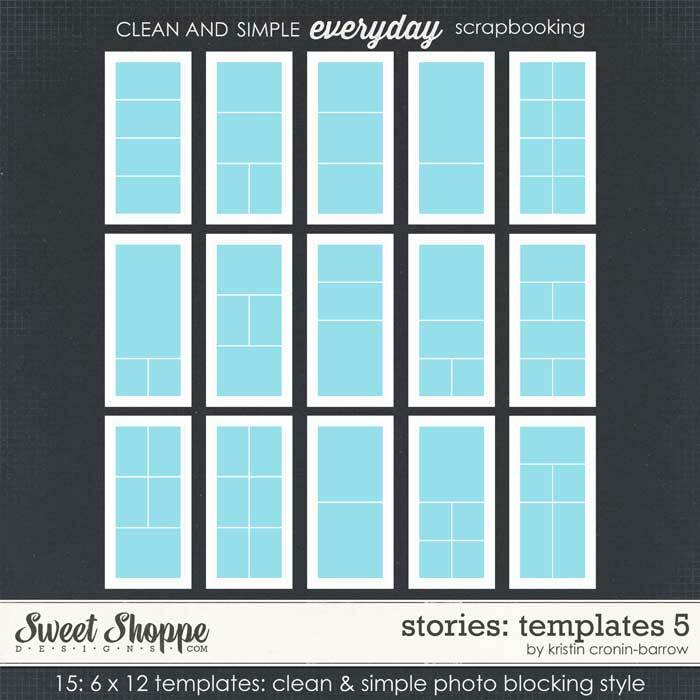 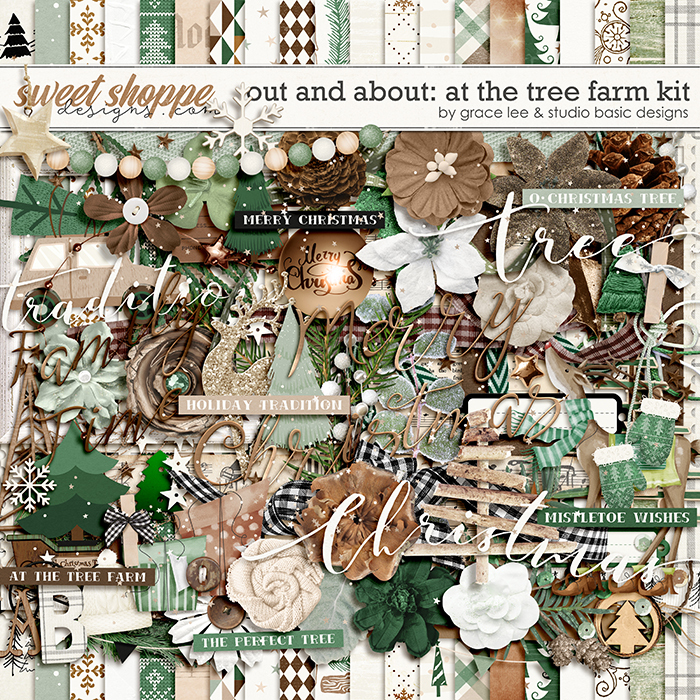 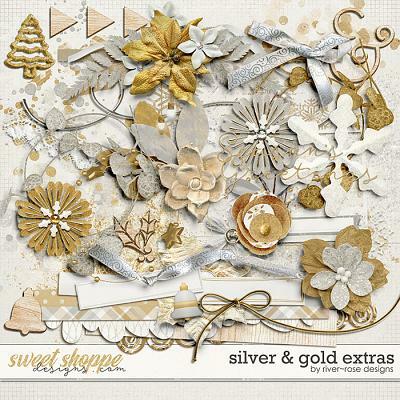 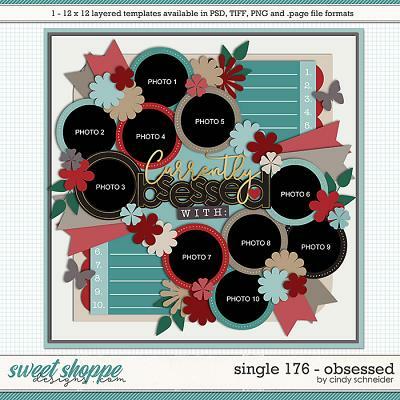 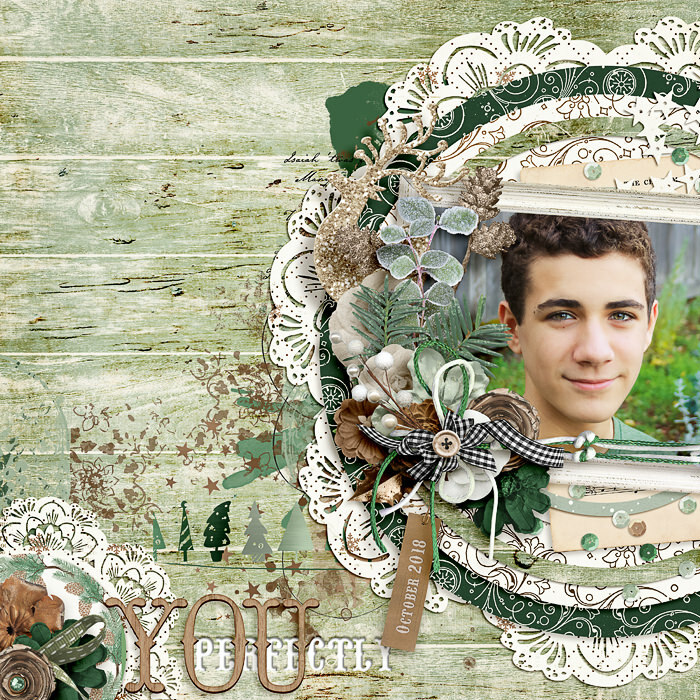 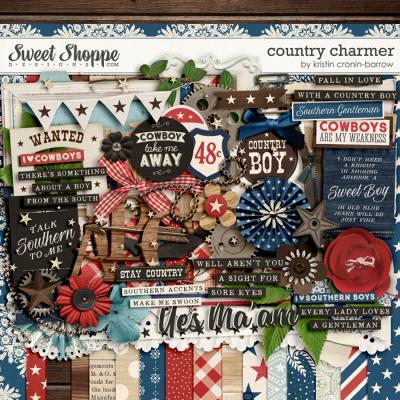 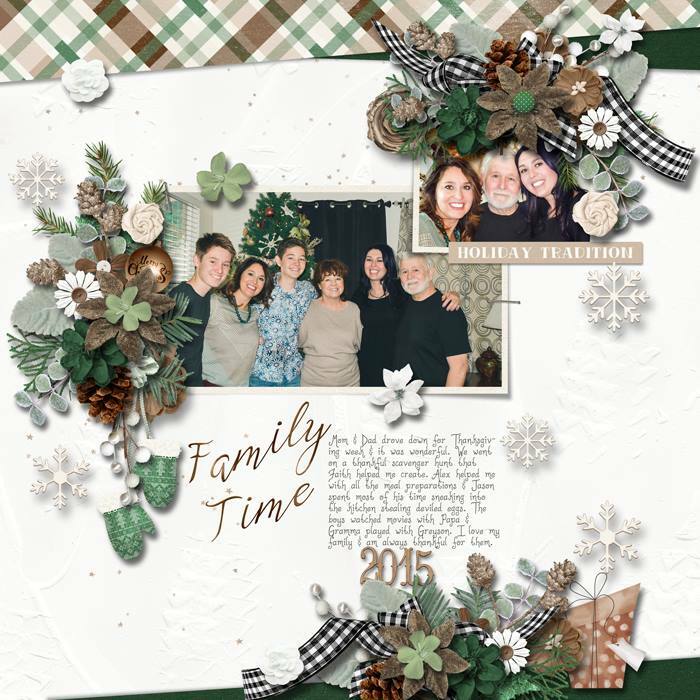 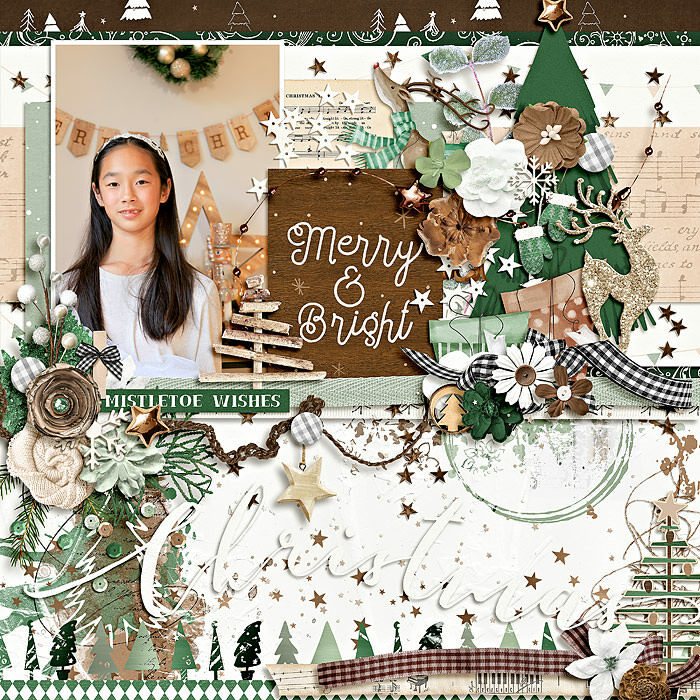 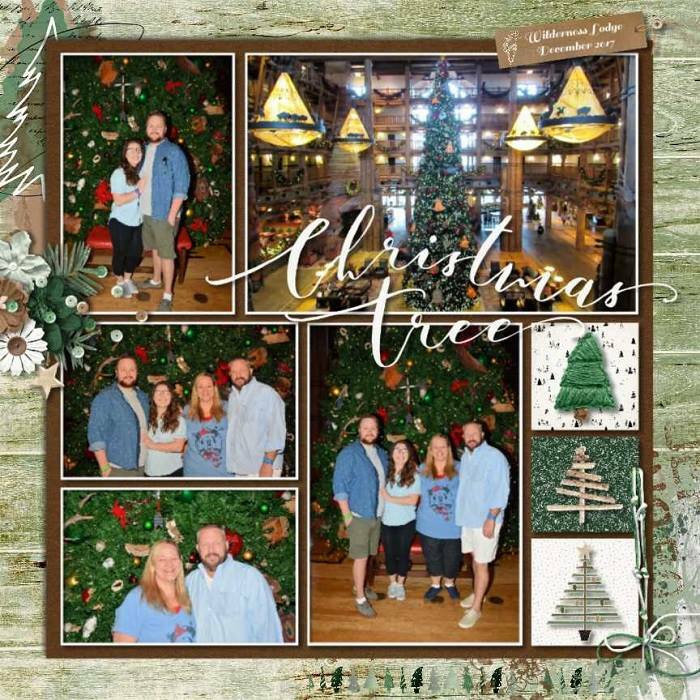 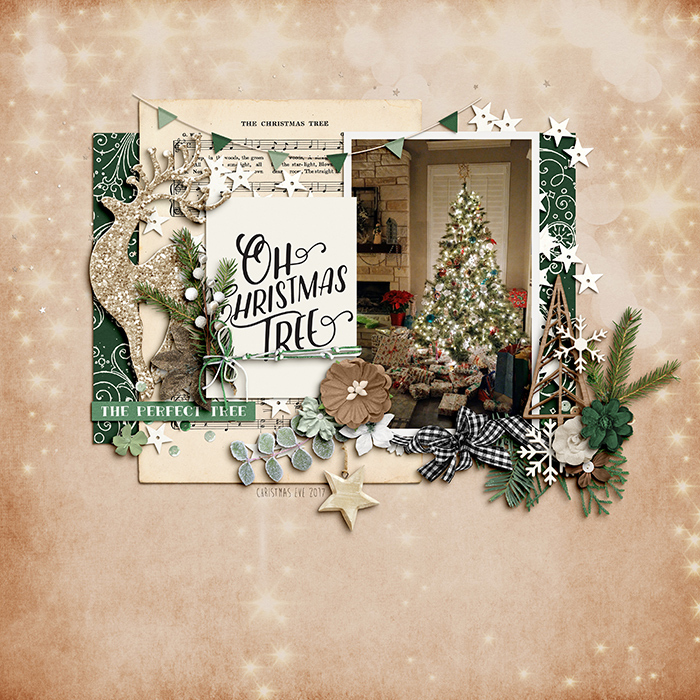 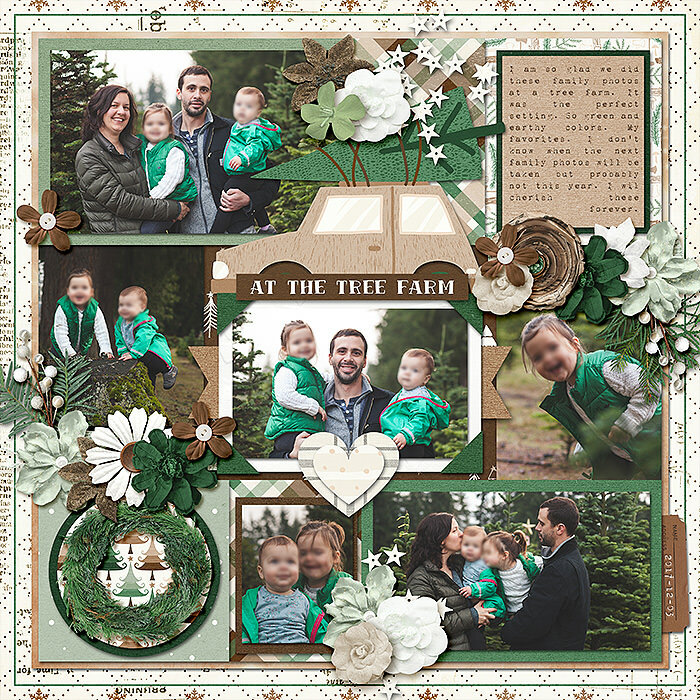 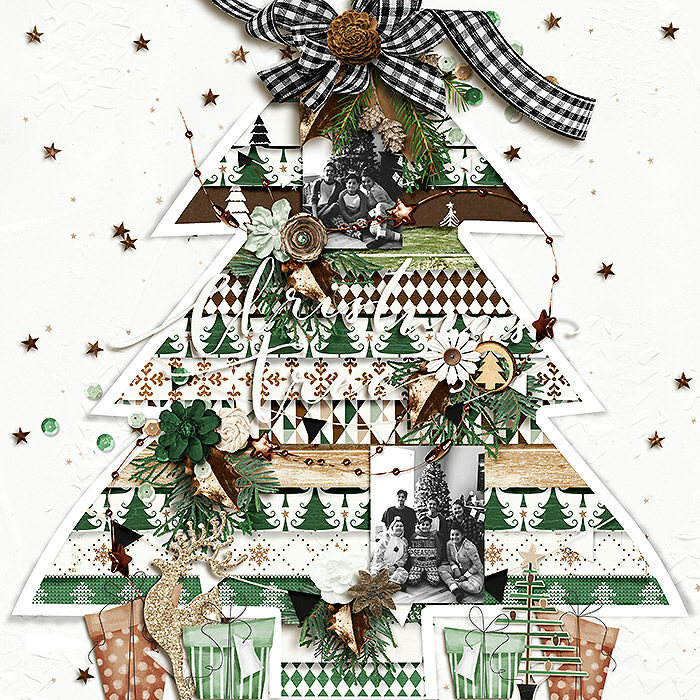 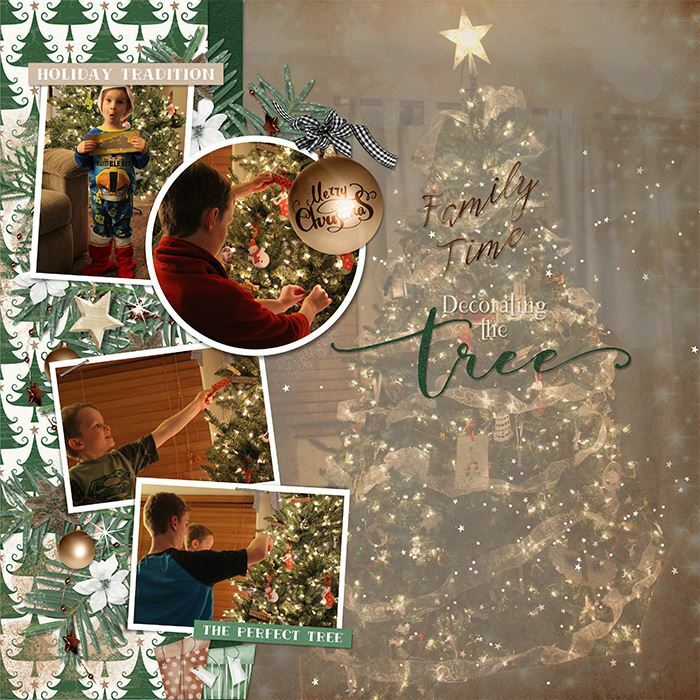 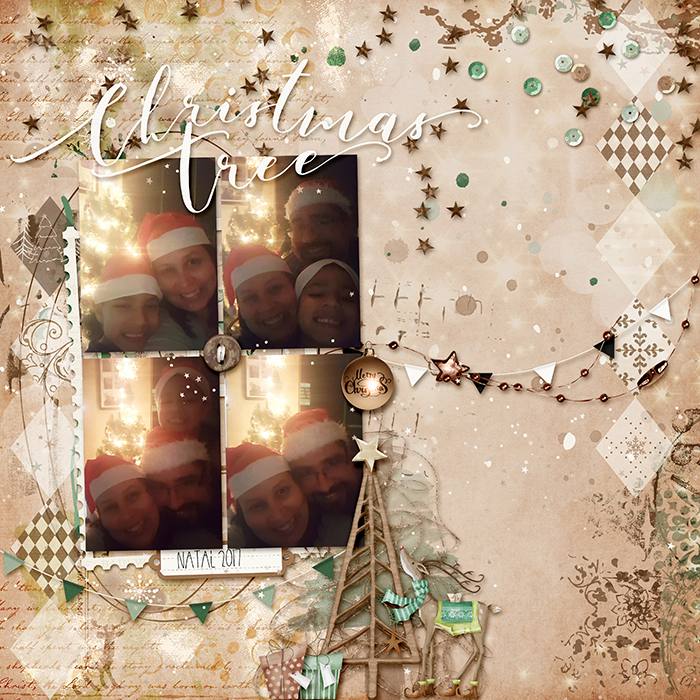 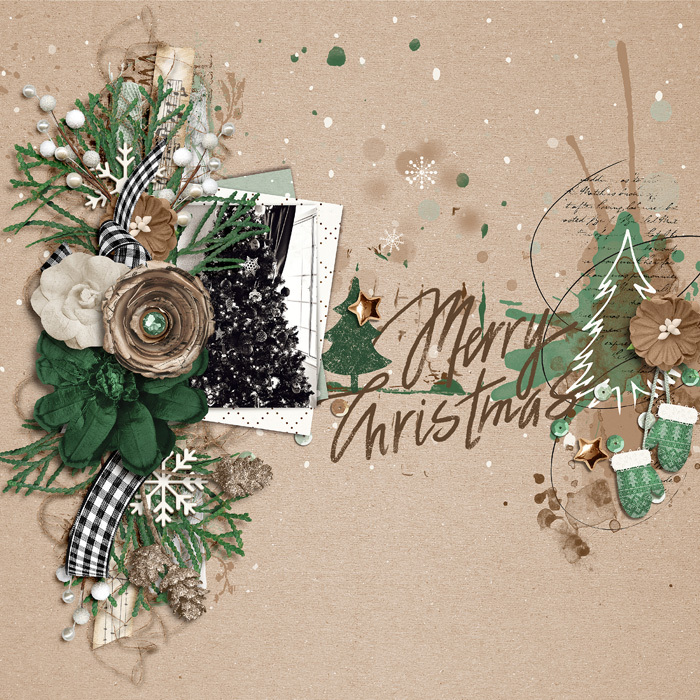 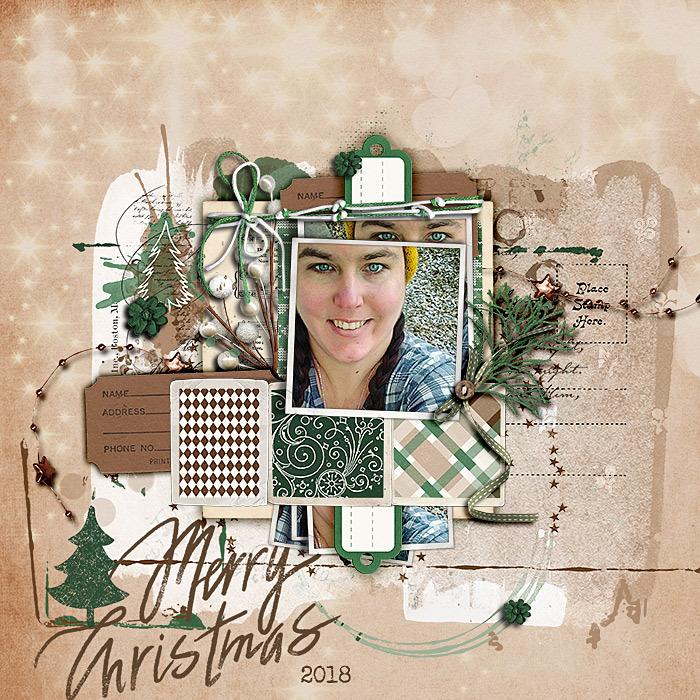 A digital scrapbooking kit by Grace Lee and Studio Basic Designs, Out and About: At the Tree Farm makes it begin to feel a lot like Christmas! 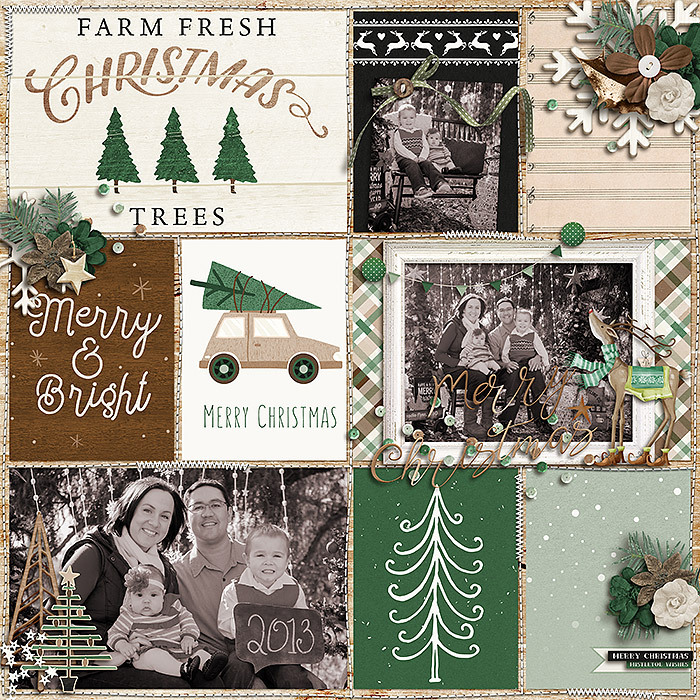 A dusting of snow & sparkle in a winter wonderland palette of forest greens, creams, and woodsy browns is perfect for scrapping those special family traditions you love to share together this time of year. 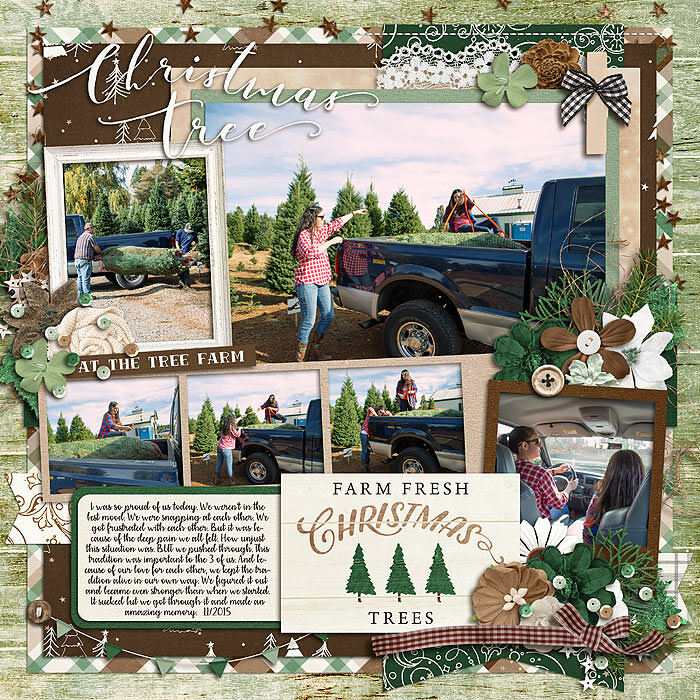 Whether its photos & memories of choosing and bringing home THE tree, long family walks in the woods or simply cozying up ready to decorate, watch an old Christmas movie or wrap gifts together, ‘Out and About: At the Tree Farm’ will make your pages feel special and extra festive this holiday season! 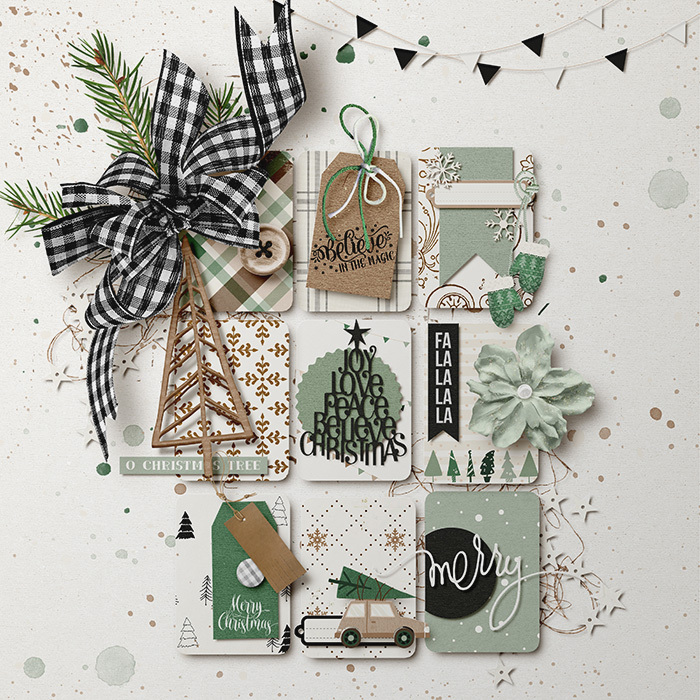 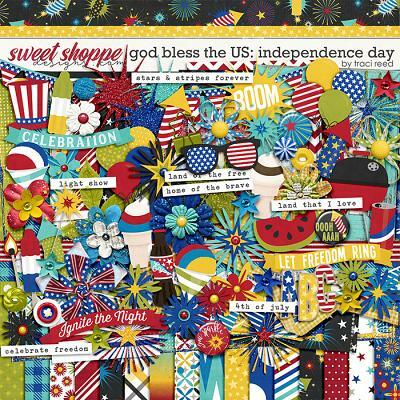 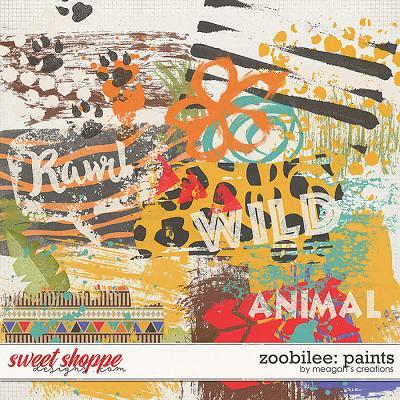 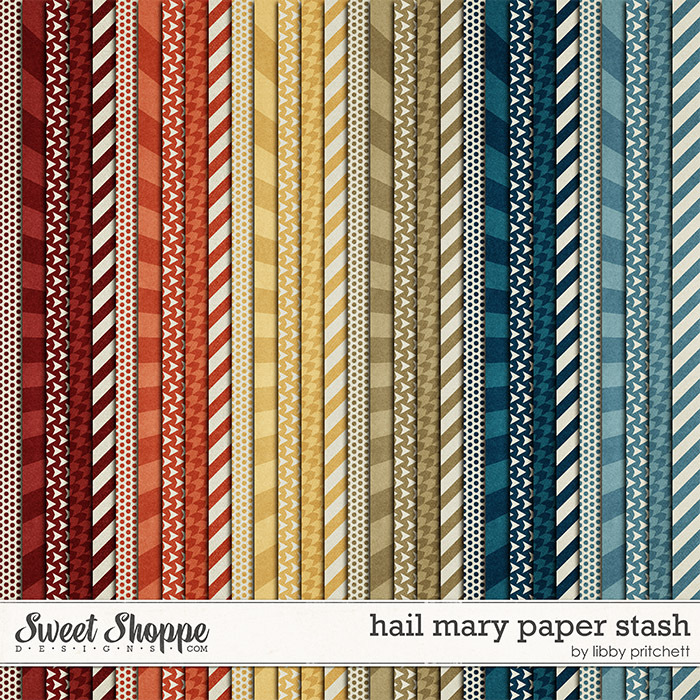 The kit contains: 20 beautifully patterned papers (plus 6 alternate versions), 13 card-textured solids, 98 elements and 2 lovely alphas (A-Z, numbers 0-9 and some symbols, each saved as individual .png files). 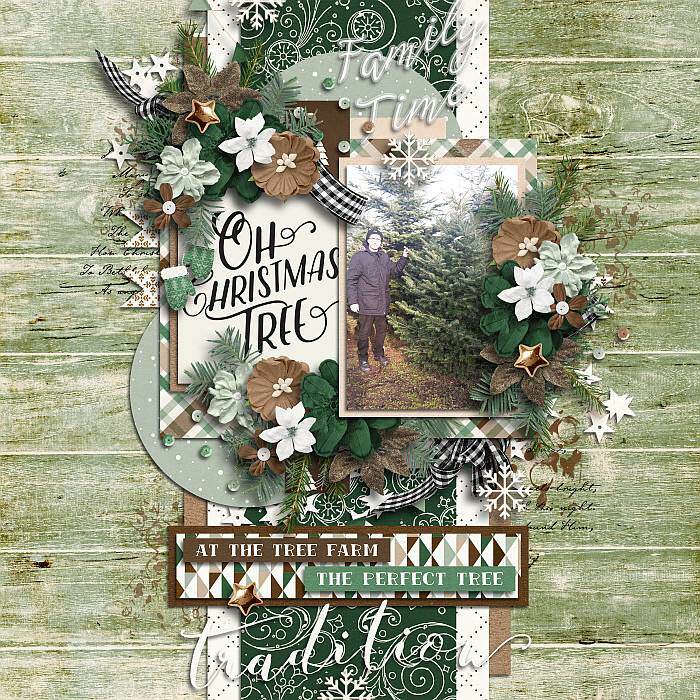 The elements are: 3 banners/ bunting, 2 branches, 4 buttons, a car, 2 cloth pins/ peg clips, 14 blooms, 7 pieces of foliage, 2 frames, glitter, mittens, woolly hat, music sheet, 5 ribbons, star scatter, confetti scatter, 2 snowflakes, string, 6 trees, wreath, 2 bows, label ephemera, multi-aperture frame, 2 gifts, 7 journal labels, 2 stars, 2 baubles, a pine cone, 2 reindeer, tree sequin, lots of stars, decorative string, tag, thread, wagon/ cart with & without tree and a decorative wood piece plus the following title and word art: ‘Christmas’, ‘tree’, ‘tradition’, ‘o Christmas tree’, ‘at the tree farm’, ‘holiday tradition’, ‘mistletoe wishes’, ‘the perfect tree’, 3 versions of ‘Merry Christmas’ and 2 versions of ‘Family Time’. 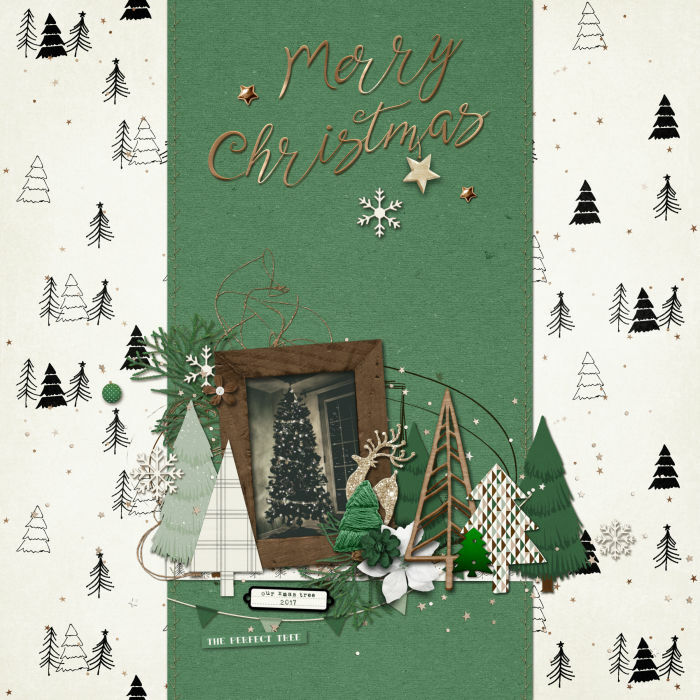 All are saved as individual .png files.